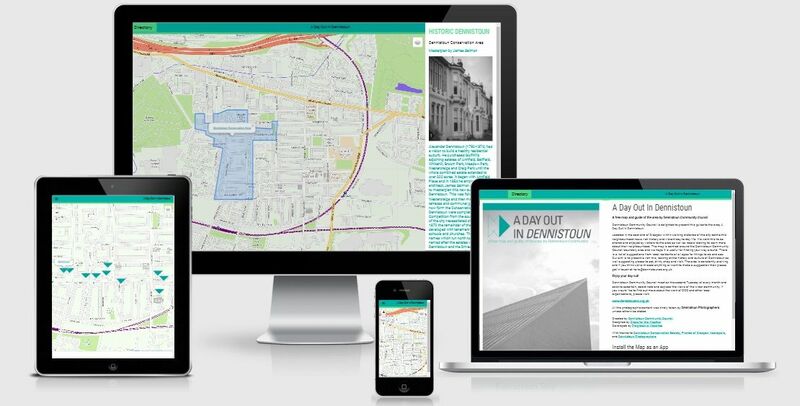 This summer, why not enjoy a day out in Dennistoun with a free online map and guide courtesy of Dennistoun Community Council that covers local points of interest and great places to shop, eat and drink. Dennistoun Community Council launched A Day Out In Dennistoun as an A2 sized fold out sheet map and guide in 2016 for visitors and locals looking to learn more about the neighbourhood. They revised the map in 2017 and now the map is available to view as a mobile web app on your phone. A Day Out In Dennistoun is a Progressive Web App (PWA) and can be viewed at https://dennistoun.co.uk/adoid/. You can Add it to the Home Screen of your Phone to have it available at the touch of a button.